Cocomo products from the House of Nature, are traditionally inspired, safe and toxin free. These natural & nourishing products have been formulated by a leading cosmetologist and our circle of moms for happy, healthy & confident kids. Cocomo Moon Sparkle Shampoo & Conditioner is a gentle & nourishing emollient that cleanses the hair effectively with added moisture, removes dirt and oil while maintaining the PH balance of the scalp. 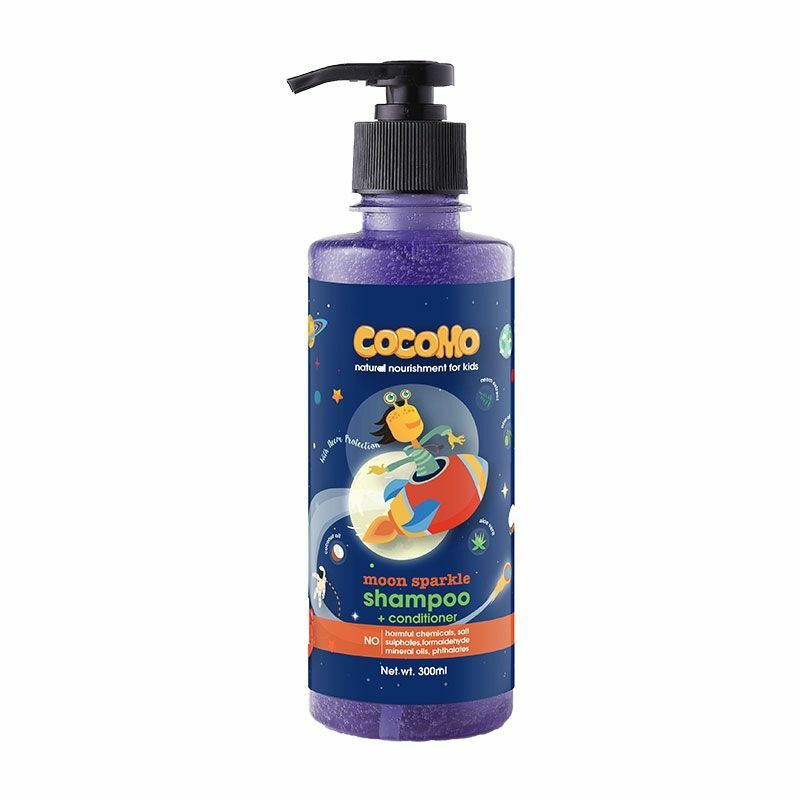 The natural conditioning of Coconut & Olive oil, antioxidant rich Neem & Tea Tree and nourishing Aloe Vera, Cocomo shampoo makes the hair squeaky clean.